Many job seekers agonize over what to say in cover letters, and these concerns are well-founded. If you think you can simply jot off a quick note stating your availability — think again. This is the first piece of your work a potential employer will see. You’d better make it good. You cannot make typos. You cannot misspell words. You cannot make errors of any kind. The letter must be orderly and neat — with the date, address, salutation and signature lines all in the right places. The stationery should be simple. The body of the letter must be coherent and grammatically correct. Be very careful not to say anything that could turn off the people who are reading it. In other words, don’t try to be clever. Learn the basics before writing. At the very least, peruse the organization’s Web site to gather information. You must know the exact name and spelling of the company, what the company does, where it is located, how many people it employs and how long it has been in business. Do not address your letter “To whom it may concern.” Identify a particular individual in the organization to whom you can write. Most importantly, spell that person’s name correctly. Learn in advance whether the company is hiring for a specific position, or even if it’s hiring at all. Don’t rule out writing to organizations that are not actively hiring, but specify whether you’re applying for a specific position or inquiring about general opportunities. You are looking for a job, but that’s not the point. The point is not what you need or want, but what you have to offer. The best message to send: You have valuable skills that fit their needs. You are eager to be a part of the organization. You are able to get a lot of work done very well, very fast every day. You are available to work wherever they want you and whenever they want you. 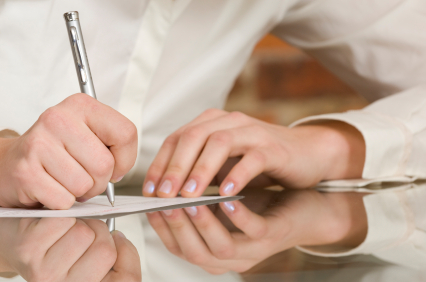 Keep the cover letter brief, but attach documentation to support your message. After the introductory paragraph in which you tell the prospective employer what you have to offer, enumerate the attached documents. Most people include a resume. Depending on your experience and level of accomplishment, though, you may prefer to send a professional biography. In either case, one page is best. In addition to a resume or biography, consider including a sample of your work, if possible. If you are a graphic designer, include a design. If you are an auditor, include an excerpt from an audit report (after removing any names and confidential information, of course). Some people go further. You could create a spreadsheet, charts and graphs, an infomercial, or even a prototype of a new product you are inventing. Nothing speaks louder than a sample of your work. Do not drop the ball. Keep reaching out to potential employers and follow-up with each one until you experience enough interviews to select your best opportunity.